SCAR produces a number of publications. 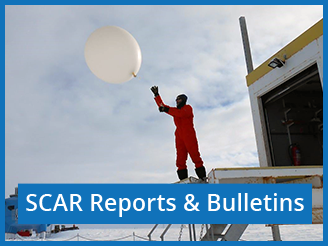 The SCAR Bulletin is issued around two or three times a year and reports on SCAR meetings, SCAR's involvement in Antarctic Treaty Consultative Meetings and other major activities. SCAR Reports are issued irregularly and report mostly on SCAR subsidiary group meetings and workshops, strategy meetings and meetings with other organisations. Here you will find those documents.